Thelma Clarice Slutzker, 93, (nee Goldenberg) died Friday, March 29, 2019 at the Mercy-New Life Hospice in Lorain following a short illness. 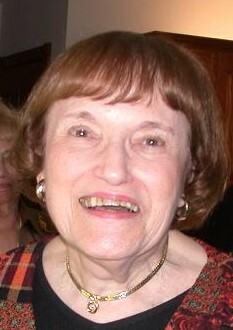 Mrs. Slutzker was born in Elyria on October 1, 1925, the daughter of the late Jack and Anna (nee Cantor) Goldenberg. She graduated from Elyria High School in 1943, then went on to receive her bachelor's degree from The Ohio State University in business and retail merchandising in 1947. Thelma was heavily influenced by all the time spent growing up working in her parents' longstanding business, the Federal Store on Broad Street in Elyria. She also had worked at the William Taylor Department Store in Cleveland. After her marriage in 1947, she assisted her husband Sandy in various business enterprises. 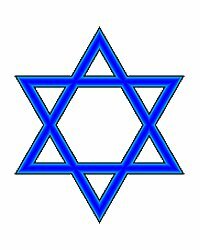 She was a member of Agudath B'nai Israel Synagogue in Lorain, and was active in their Sisterhood, Hadassah and Lorain Jewish Welfare. She was a former member of Temple Ahavat Shalom during the 23 years she and her husband wintered in Palm Harbor, Florida. Mrs. Slutzker was an avid supporter of Murray Ridge. She enjoyed reading, cooking and entertaining and will be remembered fondly by many for her delicious brownies. She is survived by her children, Susan and her husband Terry, of Amherst, Wendy of Berkeley, CA, and Steven of Lorain as well as several loving nieces and nephews. In addition to her parents, she was preceded in death by her husband of 60 years Sanford Slutzker in 2008 and a sister, Louise Sober. Funeral services will be at 1:00 pm on Sunday, March 31, 2019 in the Schwartz, Spence, Boyer & Cool Home For Funerals, 1124 W. 5th Street, Lorain with Mr. Mark Jaffee, officiating. Burial will be in Salem Cemetery, Sheffield Township. Visitors are welcome at the Slutzker residence on Monday evening from 5:00 to 7:00 pm. In lieu of flowers, the family suggests that memorial contributions may be made to: Agudath B'nai Israel Synagogue, 1715 Meister Road, Lorain 44053, or Friends of Murray Ridge, 1091 Infirmary Road, Elyria 44035, or Community Foundation of Lorain County, 9080 Leavitt Road, Elyria 44035.